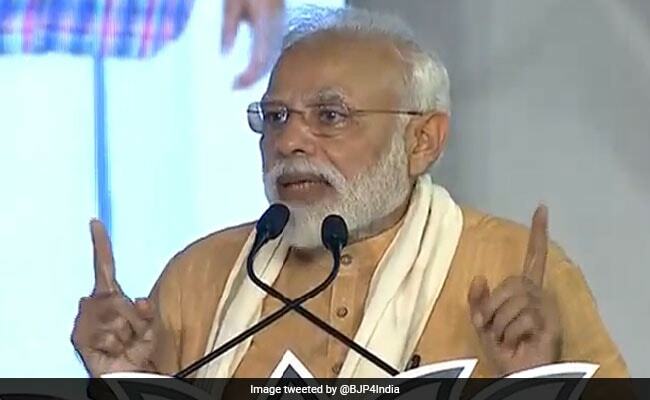 Election 2019: After Party Leaders' Remarks On Minorities, PM In Kerala Says "BJP Is Inclusive"
After Party Leaders' Remarks On Minorities, PM In Kerala Says "BJP Is Inclusive"
Kerala's Kozhikode has a minority population of around 45 per cent, with Muslims constituting around 40 per cent. Prime Minister Narendra Modi addressed a public rally in Kerala's Kozhikode district on Friday assuring the people that "the BJP represents all". Incidentally, the district as a whole has a minority population of around 45 per cent, with Muslims constituting around 40 per cent. "The BJP is an alternative that is inclusive, democratic and compassionate" PM Modi told his party supporters on a day union minister Maneka Gandhi told a group of Muslims in Uttar Pradesh that they should vote for her or else she may not be inclined to be responsive to their requests. "This is important. I am winning. I am winning because of the love and support of people. But if my victory is without Muslims, I won't feel that good. Dil khatta ho jayega (Things will become sour). Then when a Muslim comes to me for work, I think let it be, how does it matter. It's all give and take, isn't it?" Maneka Gandhi was heard saying in a three-minute clip in Sultanpur's Turabkhani area. It was only on Wednesday that BJP chief AmIt Shah hit out at Rahul Gandhi contesting from Kerala's Wayanad saying, "When a procession is taken out there one cannot differentiate between India and Pakistan". His reference was to the Muslim League (IUML), Congress ally in Kerala. PM Modi also made references to Sabarimala in his speech, saying the BJP will ensure religion and traditions will be protected. Kerala has witnessed massive protests - by Hindu right-wing groups and the BJP - since the September verdict by the Supreme Court that allowed for women of all age groups to enter the shrine. The Left has slammed the BJP in the state for inciting and resorting to violence, with vote bank politics in mind. Protection of faith and tradition - especially with reference of Sabarimala - has been one of the main campaign highlights of BJP in many constituencies across Kerala.